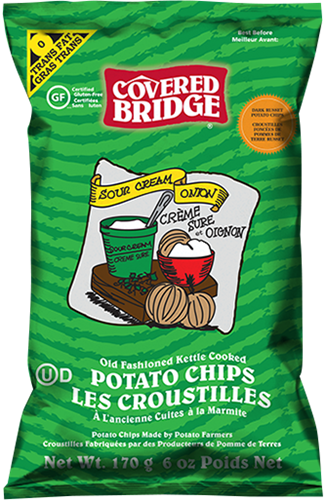 Although claiming to be ‘Old Fashioned Kettle Cooked Potato Chips’ these were not in any way sharp or brittle. They broke down at a reasonable pace with no major mushy stage. The bag we opened included rough looking Chips of different sizes. They were gnarly, curly and sometimes with attached, smaller Chips. There was some skin on edges and plenty of oil blisters and seasoning visible. We found these Chips a little weird. And we will keep this short. There was Onion. There was Sour Cream. But the overriding after-taste was plasticky. I don’t know how they managed this, but for us, it was just all a little bit odd.